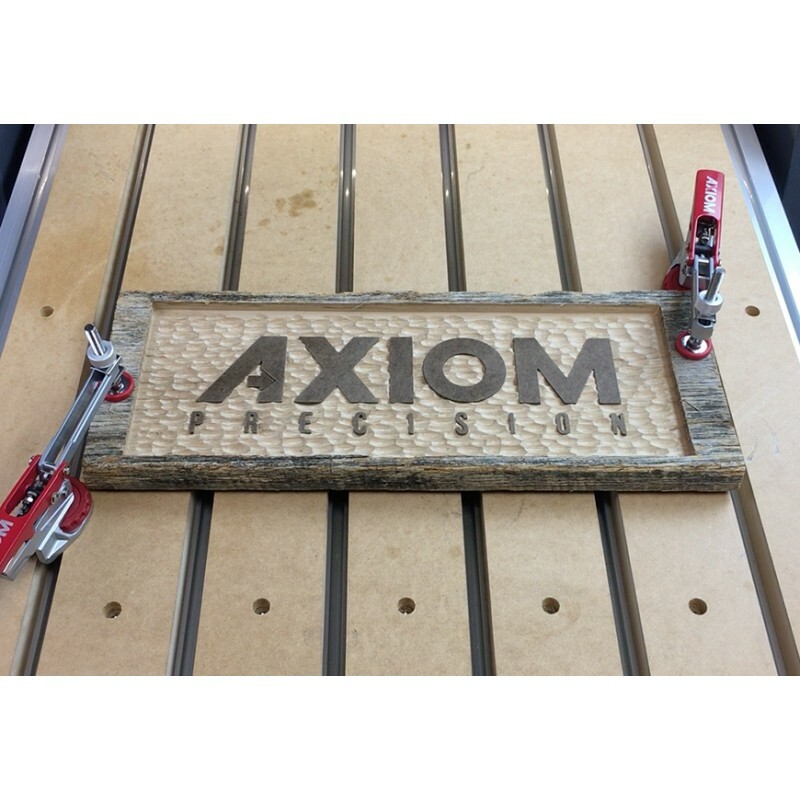 Work holding has always been a challenge for CNC operators. 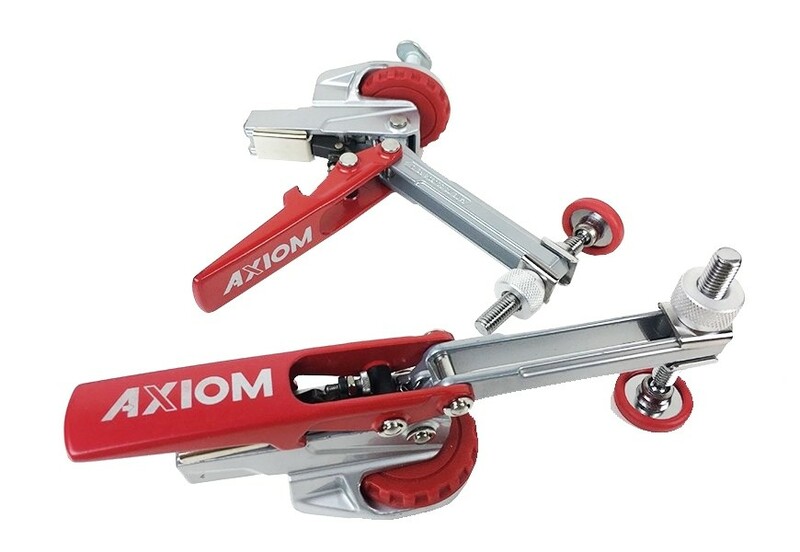 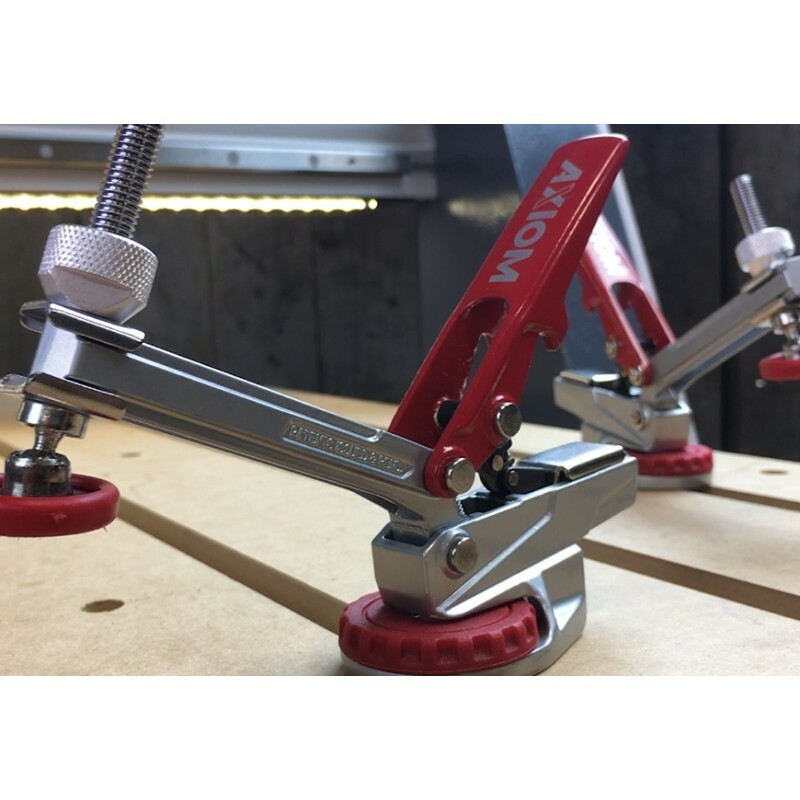 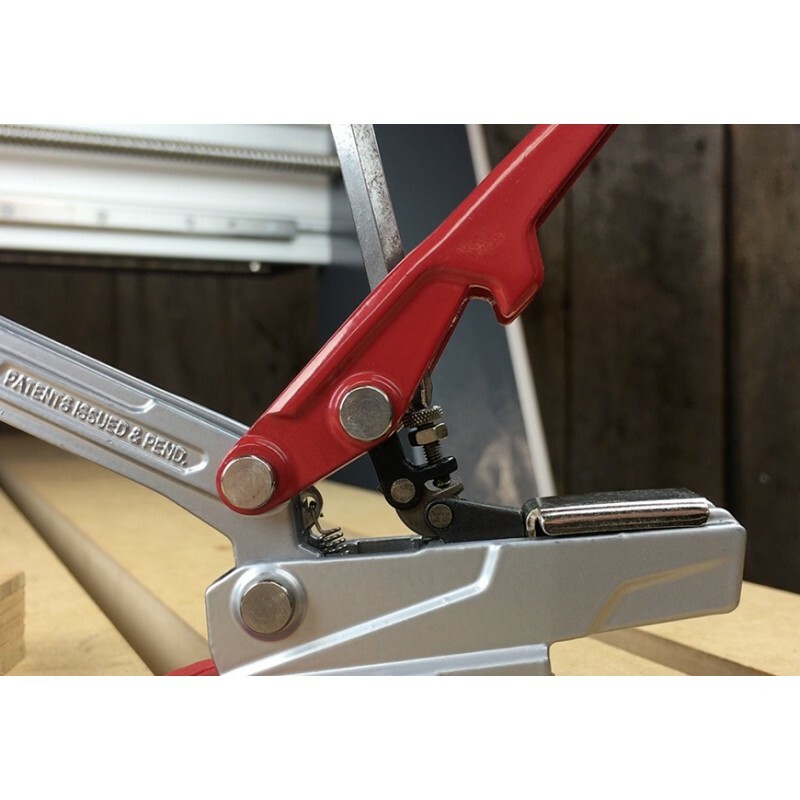 Here’s a terrific pair of clamps which offer speed, ease of use, and immense holding power. 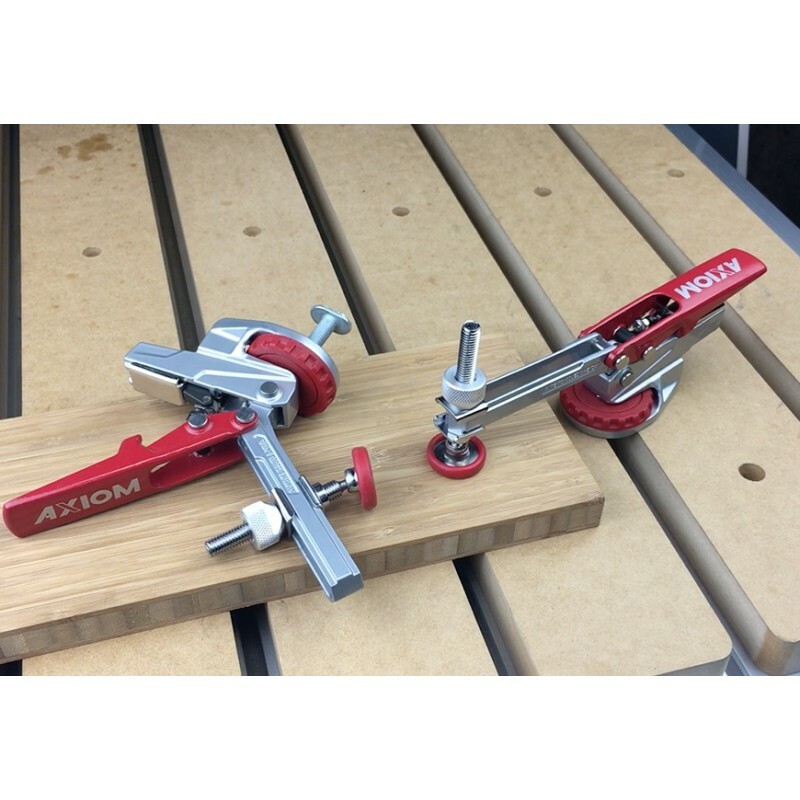 This clamp kit offers a pair of clamps which can capture materials ranging from thin veneers, to 2-3/4” thick stock. 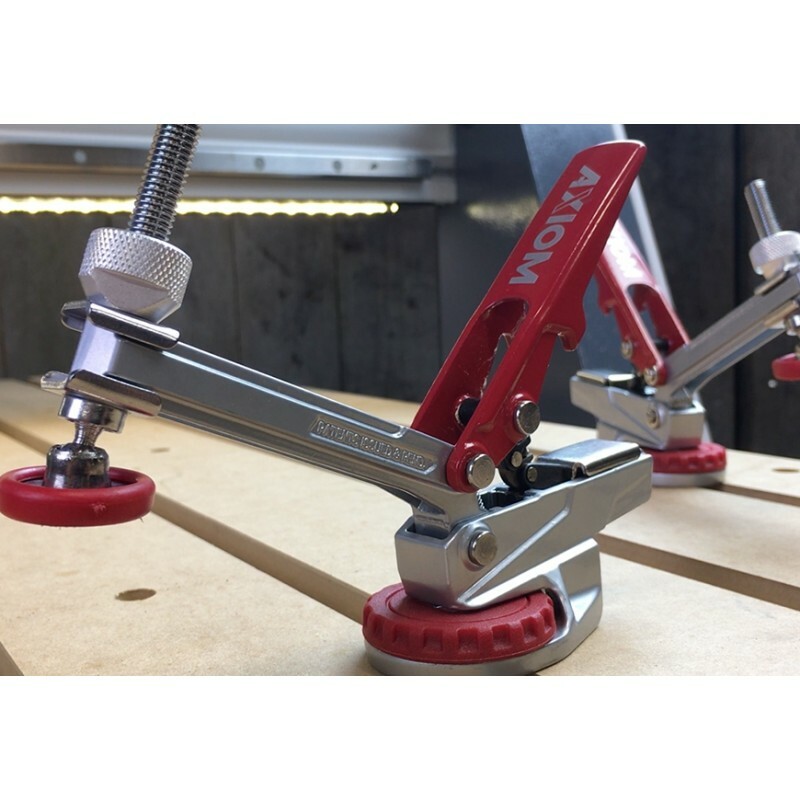 The pivoting foot has a rubber cover to avoid marring, and can extend a full 3-1/2” from the center of your T-track. 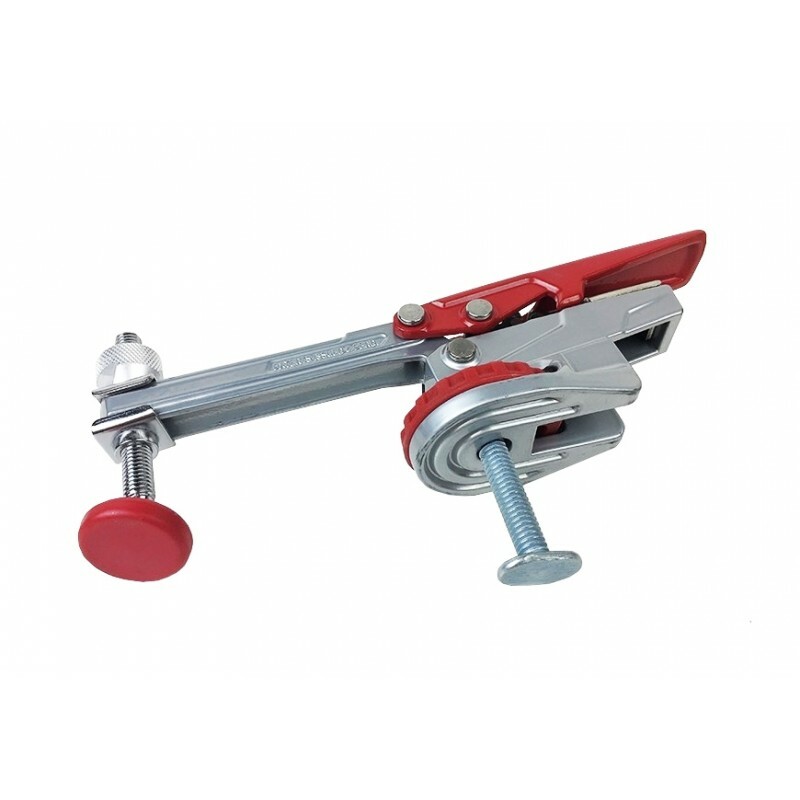 Each clamp offers durable, cast construction, and a long handle providing leverage for clamping. 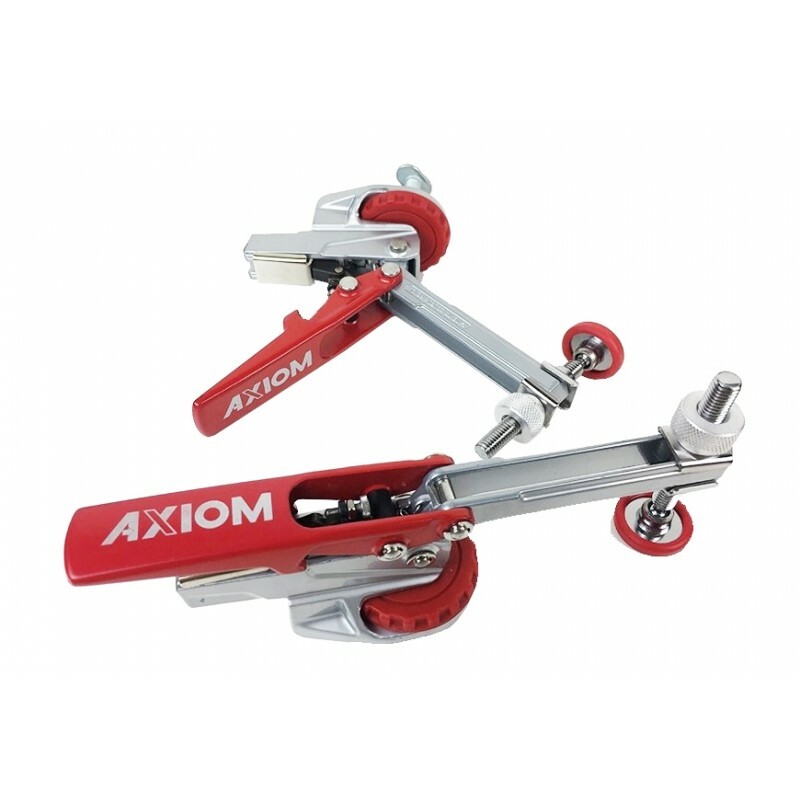 They rotate 360 degrees, and lock to the table via a large, knurled wheels. 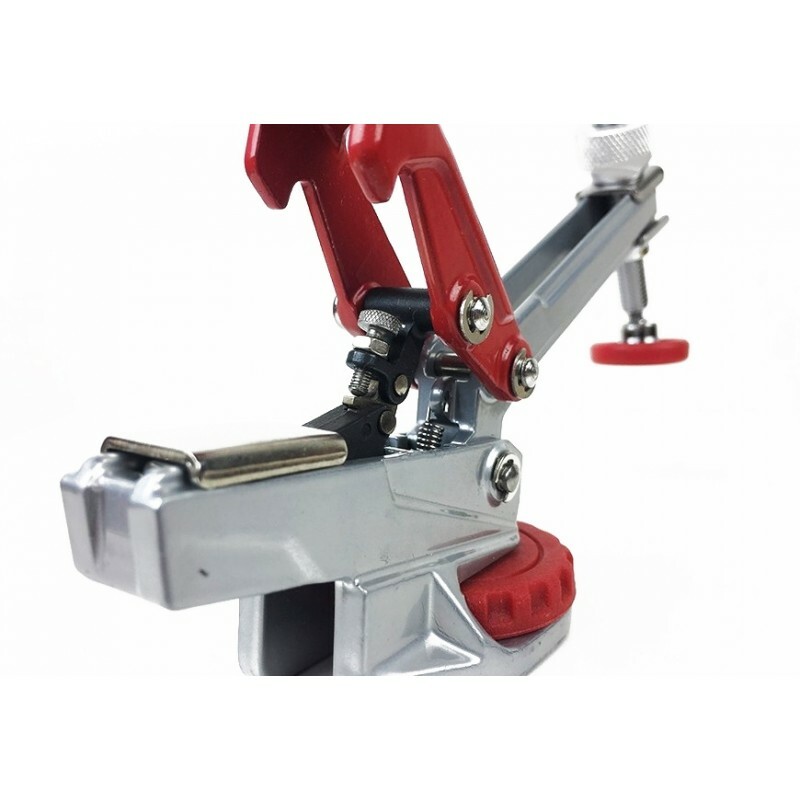 The auto adjust feature allows you to pre-set the desired clamping pressure, which will remain consistent regardless of material thickness. 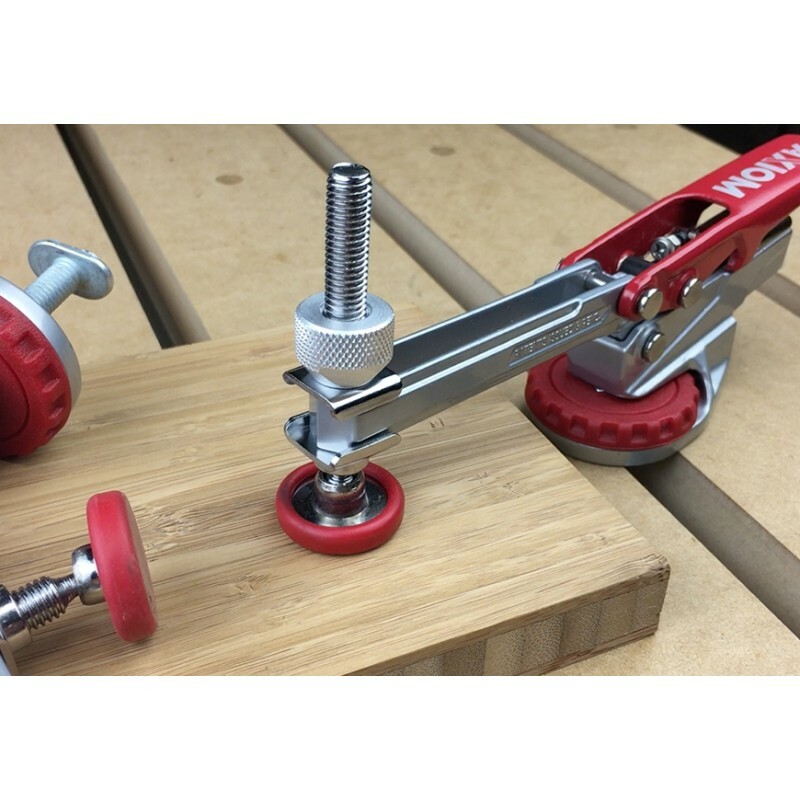 Each clamp includes both long and short T-bolts to allow use with, or without the spoil boards installed on your table.